Set in London, this apartment features free WiFi. 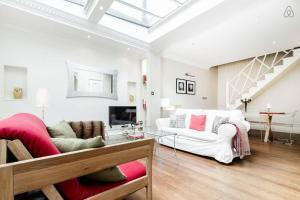 The apartment is 2.5 km from St Johns Wood. The kitchen comes with a dishwasher and an oven, as well as a kettle. Towels and bed linen are offered at 2 Bed Cottage in Hampstead. See all 2 Bed Cottage in Hampstead reviews..